So it finally happened: I made a Snapchat account. Hey look, another app/social media platform I'm encouraging you to obsess over! You're welcome? 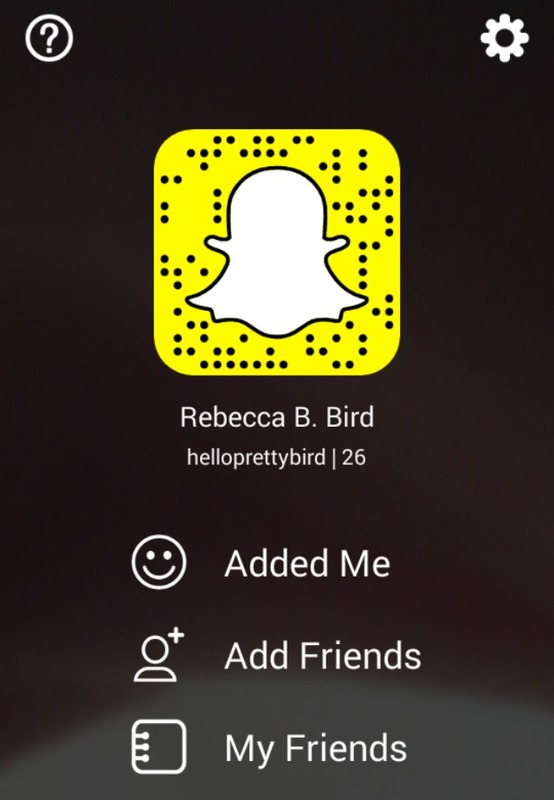 Anyway, I invite all of you reading to follow me: My username is helloprettybird. I'm happy to add other bloggers back, so feel free to leave a comment with your username or send me a message letting me know who you are. Just don't send me photos of your crotch, OK? Well, unless it's decked out in a fabulous gown or something. Snapchat is so versatile!